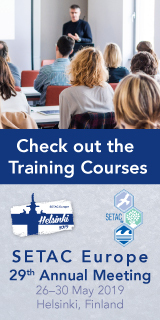 The SETAC Europe Certification of Environmental Risk Assessor (CRA) programme was developed to harmonise and further strengthen the use of -up-to-date scientific methods and principles in the environmental risk assessment of chemicals and other stressors. We believe that environmental risk assessment professionals should share the same high standards and broad understanding of risk assessment principles to ensure the safe use of chemicals and the protection of the environment. Applicants need to fulfil the knowledge and experiences expected from a certified expert, which consists of a broad basic knowledge in all 9 CRA topics, advanced knowledge and specialisation, continued professional development and on-the-job experience before passing the final oral examination. Risk assessment is not a one person job and it is important that everyone understands the basic principles. Those do not depend on country or specific legislations. The 9 topics identified vary from “ecological concepts” over “environmental chemistry” to “ecotoxicology” and “statistics”. The exam consists of multiple-choice questions covering all 9 CRA topics and the candidates have 2 hours to complete the test. With this multiple-choice examination, a successful participant can show that they fulfil the necessary basic knowledge and competences in all 9 CRA topics! You are not sure if you have the broad knowledge in the CRA topics? You want to find out about your strengths and where to fill some gaps? No problem. If failing participants can repeat the examination once without additional costs. Participants need to be registered by 30 April and places are limited. You can add the examination during your meeting registration. Click here. Already registered for the meeting and you would like to add the examination to your registration? 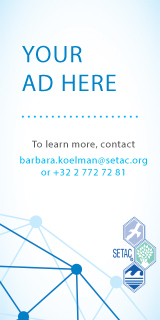 No problem, simply go to the SETAC Europe store. We highly recommend to undergo the eligibility check for the certification programme. You will be contacted by us after registration. A recognition letter testifying your success if the participant succeeded. Feedback on their strength and waeknesses based on the CRA topics in the case of success and failure. Possibility to retake the examination once more, for no additional fee, in case of failure. *Reduced fees for students, recent graduates and low and upper middle income countries. LIC (Low Income) or LUMIC (Lower and Upper Middle Income) regular or student living and residing in countries as listed by the World Bank. 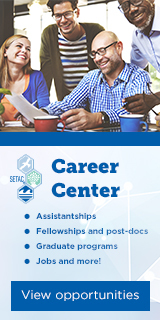 Students (BSc, MSc and PhD students; Expected expiration date and study programme must be mentioned in the SETAC profile).